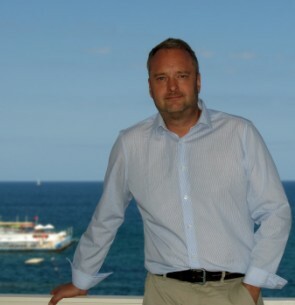 Co-Founder and now Chief Executive Officer of Karmafy, having previously held COO and CFO roles at this pioneering Maltese start-up. Karmafy brings together the exciting worlds of gaming and philanthropy; creating deep gamified user engagement and retention while being a socially responsible business platform. Karmafy has a deep and passionate “play & do good” ethos. An innovative and creative Executive Producer, Jonas’ background combines an early start in investment banking with a long career in console, social and mobile game production. In addition to leading creative development he has represented management and investors on multiple studio acquisitions, fund raising and investment. Now living in Malta, Jonas is a graduate of Georgetown University in Washington D.C., having specialised in finance and computer science. As a producer, his credits include world famous game developers like Bungie, Eidos and IO Interactive, spanning AIAS and BAFTA winning franchises such as Hitman, Deus Ex, and Star Trek. Jonas’ work also spans local and international special interest groups, from the European Commission to ICT and education.